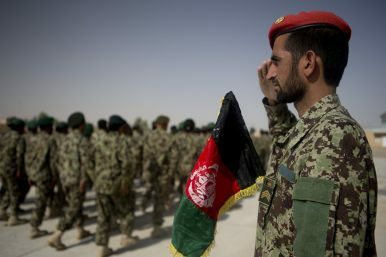 As the United States weighs its exit options in Afghanistan, the only thing certain for now is the return of the Taliban to Kabul – either as part of a weakly enforced coalition supporting an elected government or as the sole administrators of the country. In October the recently appointed U.S. Special Representative to Afghanistan, Zalmay Khalilzad, met with delegates of the “Islamic Emirate of Afghanistan” in Doha, signaling Washington’s willingness to talk with the Taliban. The recent U.S. overtures appear urgent, but Khalilzad is not the only one reaching out to them. The international community has also been known to keep contacts with the Taliban in the expectation that it would be a legitimate party in any eventual political settlement. Given this reality, New Delhi’s reticence in directly engaging with the group is not only perplexing, but also imperils the long-term security balance in the region. New Delhi’s Afghanistan policy is predicated on two priorities: first, to limit Pakistan’s influence and deny its agents space to plot against India, and second, to gain access to energy markets in Central Asia. So far, the achievement of these goals in Afghanistan has depended upon American munificence. Every time the United States chided Pakistan for sheltering Taliban elements, India celebrated a diplomatic win. On the other hand, India’s objections to U.S. talks with the Taliban have been largely ignored by the international community. The harsh truth is that without the willingness to put actual boots on the ground, or the real military capability to project power in the region, India’s considerable goodwill cache cannot achieve its strategic ends. Today, an increasingly lonely India does not have the luxury to choose when, and with whom, to talk in Afghanistan. Initially, India’s “Afghan-led, Afghan-owned” line on reconciliation mirrored the U.S. priorities in the region. But after the failure of the multinational peace talks in 2010, even New Delhi – at least unofficially – recognized Taliban as a legitimate political actor. However, it continued to oppose talks with the group because it saw empowering the Taliban as emboldening Pakistan’s anti-India agenda. To be clear, India is not averse to a reconciliation between the Taliban and the Afghan government. Pakistan’s influence over the Taliban is the real issue. Making the Pakistan question central to any solution in Afghanistan is problematic. It conflates India’s national security concerns with its strategic priorities. For example, denying space in the region to Pakistan-backed anti-India groups is a question of national security. Engaging with all potential political actors in Afghanistan is a strategic necessity. Both issues are vital to India’s future and have considerable overlap but must be approached independently. Not doing so compromises achieving both ends. To see this more clearly one has to only look at the history of India-Taliban relations. Since the Soviet invasion of Afghanistan in the 1980s, India has supported any party in power in Kabul that it saw as being less sympathetic toward Pakistan. When the Taliban took over in the 1990s, India supported groups opposed to it like the Northern Alliance – again focused on containing Pakistan. In 1999, during the IC -814 hijacking incident, the absence of formal channels with the Taliban hurt India. Its policy of trying to limit Pakistan has only been moderately successful, but its reluctance to talk with the Taliban has hurt its interests. Today, India risks being pushed to the periphery of Afghanistan’s evolving reality. India’s Pakistan focus has also distracted it from recognizing changes within the Taliban, which has increased in both maturity and sophistication. According to the U.S. Special Inspector General for Afghanistan Reconstruction’s 2017 report, the Taliban controls – and importantly administers – nearly as much territory as the Afghan government. The group has learned from the past and wants international recognition, not isolation. Its spokespeople have regularly expressed a desire to have better ties with India. There are also strong indications that, while dependent, the Taliban leadership may no longer be under the thumb of Pakistan. More importantly, India’s allies in the region, both Russia and Iran, are cooperating with the Taliban and could influence its attitude toward India. If there ever was a time to talk, it is now. Last month, after much hemming and hawing, India dispatched two ex-diplomats to Moscow to “listen in” on talks with the Taliban. In keeping with the one-step forward, two-steps backward rhythm of its policy making, the government immediately reiterated it “would not be talking with the Taliban.” If so, even within Afghanistan, India stands alone. In the end, India can either choose to talk with the Taliban today, or be forced to negotiate with it later once the group is firmly entrenched in Kabul. The clock is ticking. Pratyush Dubey is a former television journalist, with a decade of experience covering politics and international relations in India. He is currently a master’s student at Johns Hopkins’ School of Advanced International Studies in Washington, D.C. The Other Peace Talks: Afghan Women, Millennials, and Social MediaUS-Taliban Talks: What's on the Agenda in Doha?Without Regional Cooperation, Afghan Peace Will Remain ElusiveIn Afghanistan, a Rushed Peace Will Be a Short PeaceWhy Does Pakistan’s Release of a Key Taliban Leader Matter?